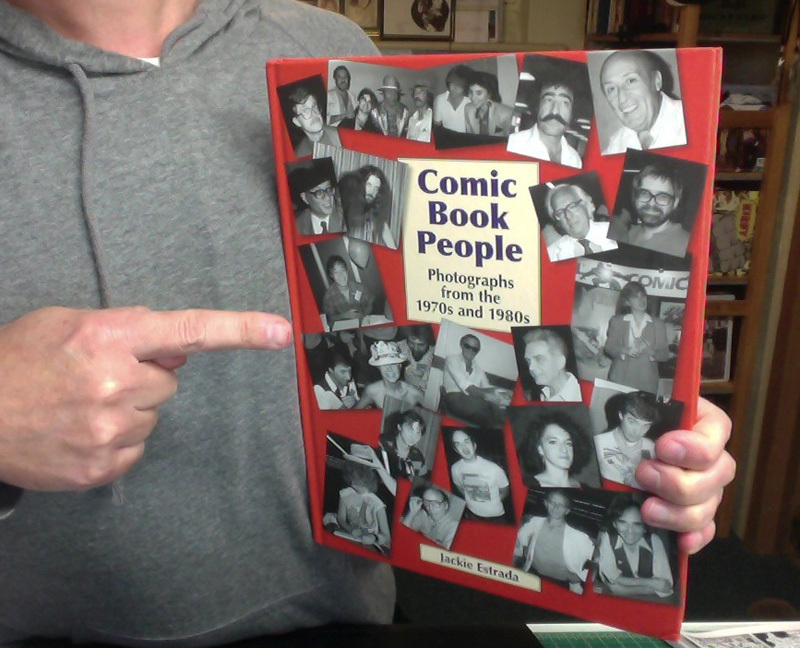 Here’s an unabashed plug for Comic Book People by Jackie Estrada – a book I got through KickStarter – now available through Exhibit A Press. You can also find it at finer comics shops and on Amazon. 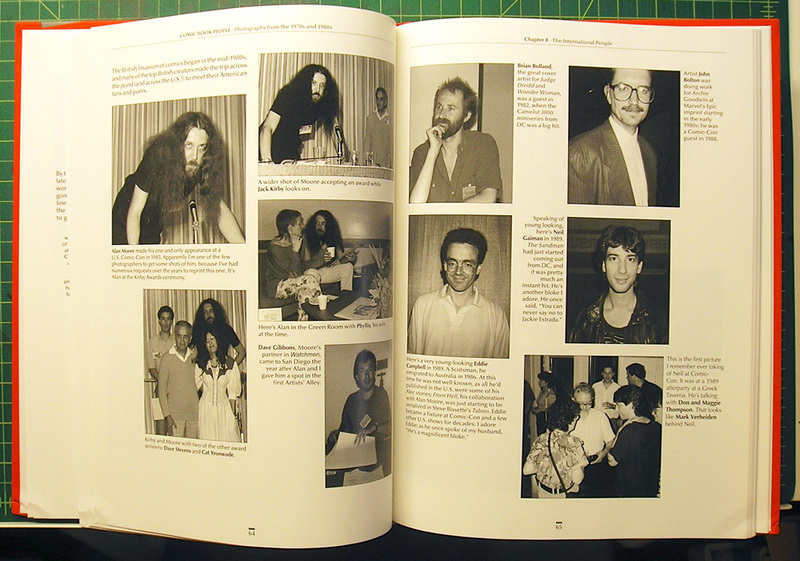 This high-quality hardcover coffee-table book offers a unique peek at the early days of comics conventions before they were big pop culture events, when the giants of the industry mingled casually with their peers and fans. 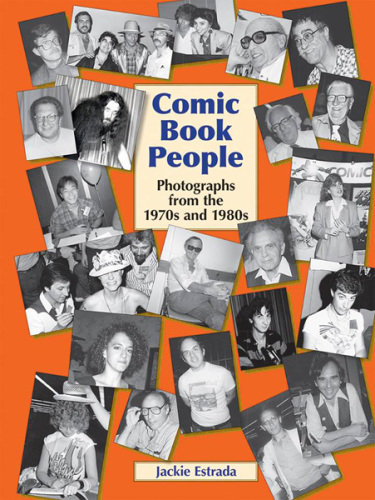 It features some 600 candid photos of comics creators taken in the 1970s and 1980s by Jackie Estrada, along with Jackie’s commentary and anecdotes about each person. 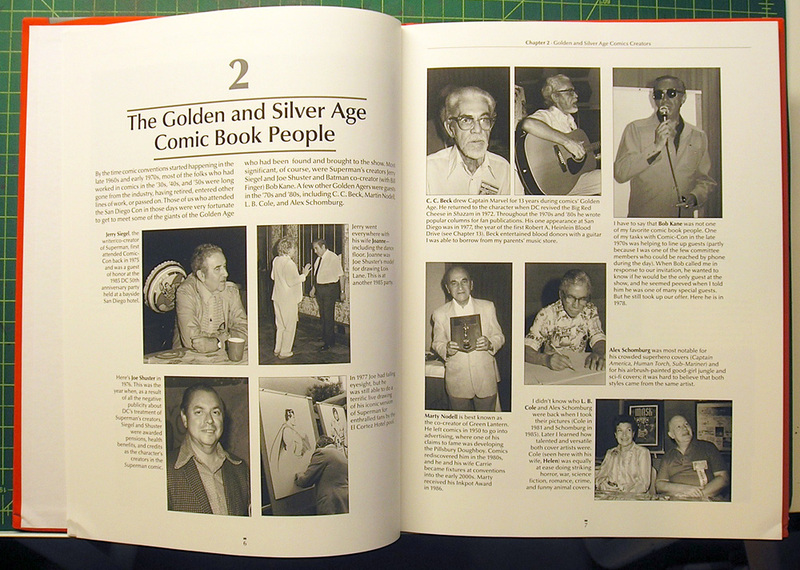 The candid photos depict not only Golden and Silver Age comic book greats and mainstream creators of the period, but also publishers and editors, underground and alternative cartoonists, big-name fans, comic strip cartoonists, animation directors and voice actors, science fiction and fantasy authors, and movie and TV celebrities. 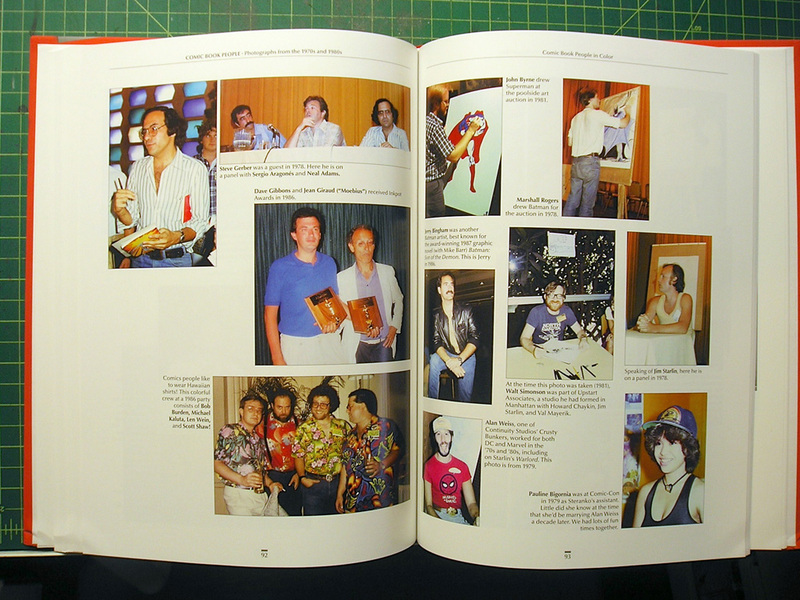 The book is broken down into chapters (ie. writers, artists, indie/alternative and so forth) and also has an index in back if you’re looking for someone in particular. There’s a color section as well. I recommend this book highly. 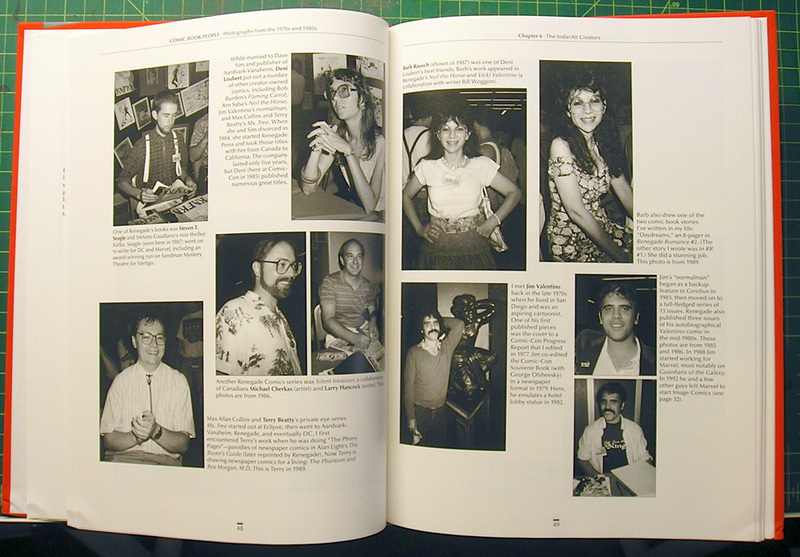 As endlessly fascinating as the pictures are, it also pulls back the curtain and puts a spotlight on the creative people in this industry at a time when fandom was just starting to kick into high gear. For more info and pics just check out their Facebook page.